Home » News » How to Choose High Temperature Wire and Cable? How to Choose High Temperature Wire and Cable? 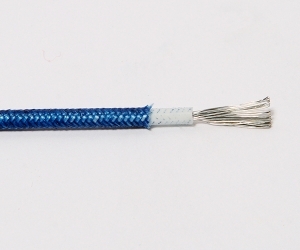 The general wire and cable are insulated with plastic and rubber. These materials are conventional engineering materials, they have a rich source, they can meet large-scale production, and the cost is relatively low. However, for some special industries such as petrochemical, steel, aerospace and other industries related to high temperature wire and cable that can withstand a certain higher temperature are needed. The ordinary wire and cable obviously cannot be used. Need to be able to withstand high-temperature wire and cable to ensure the safe operation of its power and signal. Our common wire and cable insulation and sheathing are common engineering rubber and plastic as the basic resin, but the requirements are insulation grade. Common rubber materials for cable are ding ben rubber, ethylene propylene rubber, natural rubber and chlorosulfonated polyethylene, working temperature is (60 ~ 75)℃, common cable plastic materials are polyvinyl chloride, polyethylene (including Bi-polyethylene) and polypropylene, etc. the working temperature is (70 ~ 90)℃. It can be seen that these cables are not heat resistant or high-temperature cables in the strict sense. Heat resistant cables generally refer to cables (90 to 155) ℃ and below, while high-temperature cables are cables of 180℃ and above. To solve the problem that ordinary cables are not resistant to high temperatures, it is necessary to improve the materials or use insulation grade materials that can withstand high temperatures. We are the high temperature Wire and Cable supplier, if you need it please contact us!